Six sigma is a strategic quality control method that is used to identify errors within the processes and plans of a business organization. The strategy is utilized to formulate different calls to action, and rectify any issues that may exist. When the strategy is implemented, data needs to be gathered from a wide variety of sources, and then analyzed to determine what exercises can be used to cut costs. This is why enrolling in Six Sigma Training and Certification is an investment into your company’s future. There is not a small, medium, or even large sized organization that does not consider different ways that they could possibly cut costs in order to save their bottom line. In this sluggish economy, many businesses are attempting to keep their eye on the prize, however, bankruptcies, layoffs, and cut backs are a thing of the present. 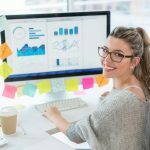 The six sigma strategy is intended to help organizations avoid going downhill, like other companies that have unfortunately already taken this path. The strategy was developed back in the 1980s. However, it was not until the economic decline, that people started really paying more attention to the principles that the strategy employs. This quality improvement strategy not only helps companies figure out what they are doing wrong in their processes, but it also helps these organizations cut back on losses, and eliminates the requirement to take risks (because it is highly statistical in nature, decisions are made based on numbers and facts). The strategy is strongly rooted in teamwork. Prior to attempting to implement this strategy, it is vital that every member of the organization has decided to utilize the strategy as requested and is enrolled in some level of training. If one member of an organization neglects to utilize the strategy efficiently, this could adversely affect the remaining sector of an organization. The strategy does not promise miracles, but it is historically very successful when implemented correctly. It requires effort and investment both in the form of time and money. In order to be able to reap the benefits of implementing the strategy, you will need to put continuous effort into following its methods. The strategy promotes employees to pay attention to all aspects of processes within a business. Implementation starts at production of a product, and does not end. In other strategies, production is the primary concern, and the sale of the item tends to be less deserving of attention. However, if the sale of the item is not as important as the production of the item, an organization will lose customer loyalty, which will force them to also lose funds. 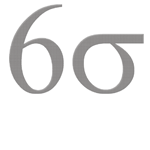 Six Sigma also requires that organizations set goals for themselves. For example, a goal to speed up production, and decrease defective products are just a few objectives that a corporation can have when deciding to implement this strategy. The strategy will guide an organization through production, and follow through until the end of the sale, without ignoring any aspect of your organization. A six sigma certification for any employee is an investment into your company’s future, as well as a Six Sigma Implementation. With a Six Sigma Certified designation, an individual will be able to implement all of the methods that this strategy promotes at a certain level, designated by a ‘belt’ color. This implementation will enable your organization to increase the rate that it produces its products, develop motivated employees that are willing to give their all to your corporation, as well as build a loyal consumer base, that wholeheartedly trusts the items your organization sells.